Applegate is a new eco-build set in the peaceful crofting township of Camustianavaig in the Braes area of Skye which provides self-catering accommodation. The house was completed in the spring of 2014 and is one of a small group of five, locally-designed houses. 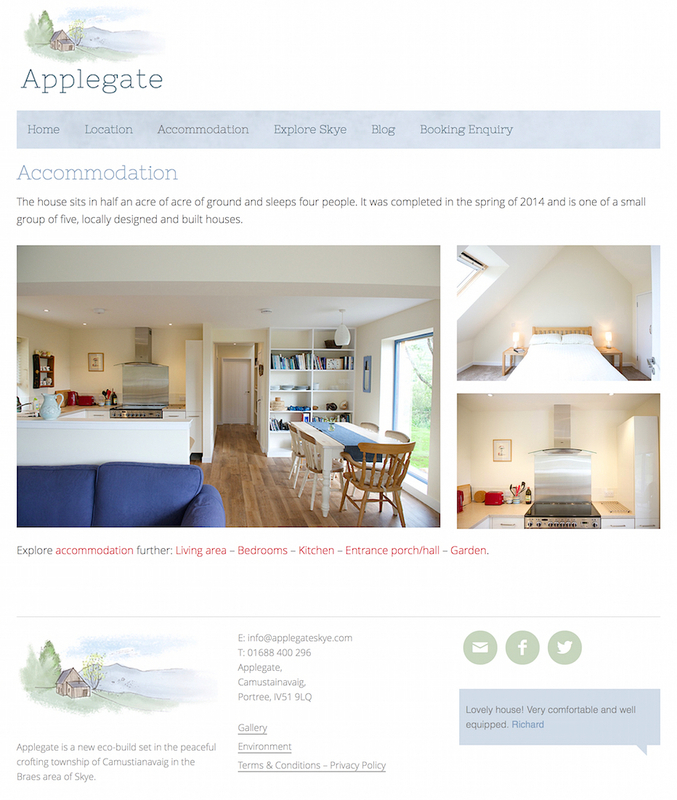 We were approached by Applegate to create a website which reflected the natural, open-plan style of the house and it’s rural setting. We designed an illustrated logo and used pale pastel colours to capture the tranquility of the house’s picturesque location. The website design is elegant, simple and mobile responsive for use on mobile devices.